The odds are most of us have looked at a Yelp review before. It is a quick and easy way to learn about the business in your area. Are you looking for a place to eat dinner tonight? Read reviews on Yelp. Are you looking for a new gym? Read reviews on Yelp. Looking for a carpet cleaner? Find the best one on Yelp. While consumers seem to have fallen entirely in love with the reviewing platform, businesses have been more apprehensive. What is to stop someone from slandering a business simply out of hate, or because of some perceived slight? Staten Island Civil Court Judge Philip Straniere says the law is here to stop them. Judge Straneire was presiding over a case involving an upset consumer and a floor refinishing business. The consumer, Emily Fanelli, was unhappy with the services provided to her by the flooring company. In recourse, she posted a rather scathing review of the company online and on Yelp. In the review she called the owner of the flooring company a “con artist,” and proceeded to claim he “scammed” and “robbed” her. The owner of the business, Matt Gardiner, was understandably upset by this review. So what did he do about it? Gardiner decided that the only thing he could do was to sue Mrs. Fanelli on the grounds of libel. Now, some readers may think to themselves, Mrs. Fanelli didn’t do anything wrong! She simple shared her thoughts and opinions with the world, thoughts and opinions which are protected by the First Amendment. Judge Straneire, who presided over the case, disagreed. So there we have it. 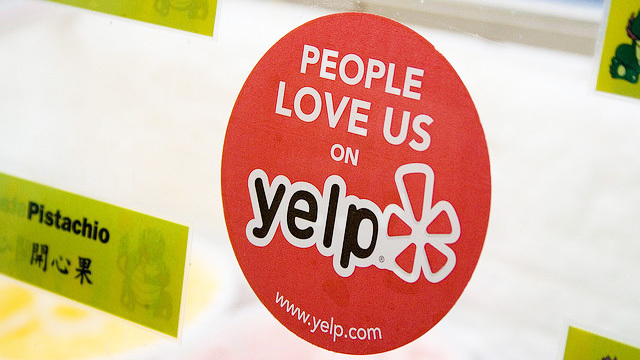 According to Judge Straneire, Yelp reviews are protected by the First Amendment. A line has been drawn. When reviewing a business on Yelp, consumers themselves must maintain a degree of decorum and professionalism.